We met up with John & Cari at The Manor at Twin Oaks in Murfreesboro, TN. It was just the beginning of fall and the countryside was just beginning to change color. With a mix of greens, yellows, oranges, and reds the contrast against Cari’s stunningly gorgeous teal dress was an absolute dream. We love letting our couples walk and explore a space while we capture candid moments of just the two of them. This is one of our favorites from the day showing both Cari and John with the countryside surrounding them. The front of the manor and the back landscaping were like two separate worlds. The front had a lot of bright fall colors while the back had more of the subtle tones of fall. After we spent some time at the Manor we left one beautiful countryside to visit the couples wedding venue, Stone Gate Farm, which is less than 5 minutes away and owned by the same couple that runs the Manor Bed and Breakfast. The light at Stone Gate was incredibly beautiful that day and we found several perfect spots throughout the countryside. We encouraged them to go out on a date after the session since they looked so lovely in their outfits. They were already planning to grab dinner at Demos’ and find out more about their catering options for the wedding – yum! Love love loved the locations and their connection <3! What a sweet session! Beautiful ring! Isn’t her ring gorgeous? Thanks! Lovely Session. Loved her dress! I immediately fell in love with her dress the moment I saw it. Totally my favorite color. Beautiful! Love when you got down lower in the grasses – super fun angle! 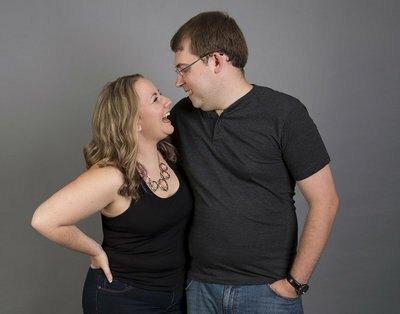 Those are some of our favorites from the engagement session too! Fall is definitely why we fell in love with Tennessee and moved here from Florida. It’s so colorful and fall weddings are incredible. Such a GORGEOUS location-they are lovely together! 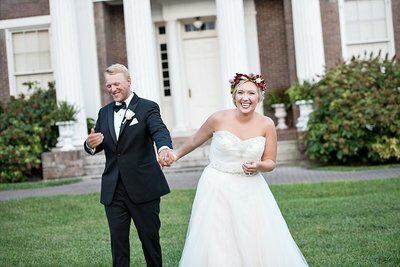 This is a local Murfreesboro Wedding venue – Stone Gate Farms and the bed and breakfast. Beautiful! The ring is stunning! It’s definitely a gorgeous engagement ring. What a stunning location and I love her blue dress! This is the location they are getting married this fall. It is totally gorgeous. Okay so her dress is stunning on her! That blue is so beautiful on her! And her ring is gorgeous!!! Yes. Yes. And Yes!! We couldn’t agree more.